A hypnotic trip through spherical electronics and experimental trancedelica. 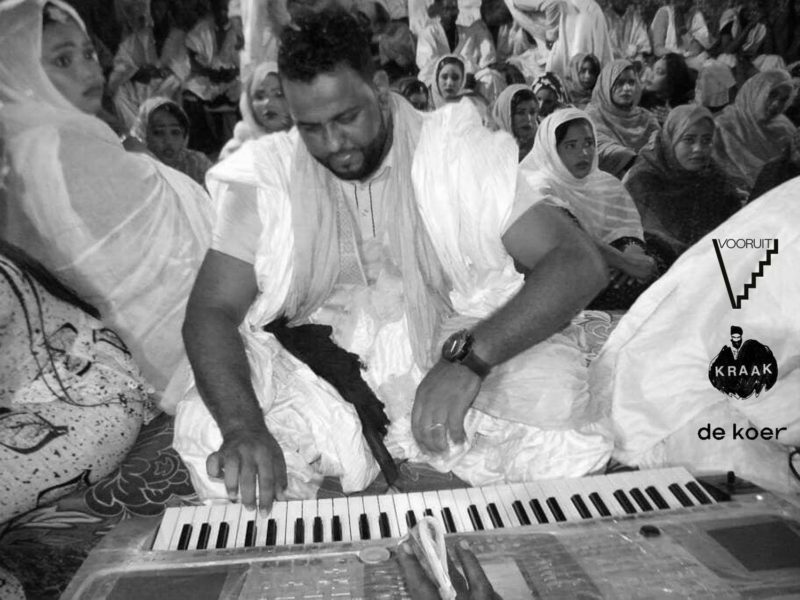 Earning fame on flipped synths and crazy parties, Ahmedou Ahmed Lowla (MR) quickly became one of Mauritania's greatest sensation. His hypnotic trancedelics resonate everywhere: in supermarkets, taxis or local cafes. He breathes new life into classical Mauritian music with dynamic electronics, angular percussion and a unique style of playing. Ahmedou Ahmed Lowla glides over his synths with fingers, elbow, head or even his feet. A spicy rave straight outta the Sahara! Aponogeton (BE) is the alter ego of Brugge-based Jachym Vandenabeele . For years he has been working his way through a maze of genres: from drone, minimalist electronics, new age, towards trancedelics, soundscaping or even furter to post-rock. From this wide range of influences, he has been impressively skilled in distilling a fascinating mix of eclectic and minimalist electronics. His debut LP 'A Place Of Solace' has been out early march on the STROOM. Aymeric de Tapol is a versatile French sound artist, noiser and modular synth freak. His freestyle meandering between synth, drone and bass tunes, from noise and more pop oriented influences, makes him one of the ever-surprising Brussels' secrets. His lastest release 'Bombina' by Angstrom stands for a witty non-music assemblage with an array of field recordings and sound art interventions. On the Word Radio, with special guest Aymeric De Tapol.